Aberdeen, UK, April 2019 - Centurion, the leader in the supply of critical rental, infrastructure and support services to the energy industries, today announces the appointment of Jonathan Blair, as the new Vice President of its Drilling, Completions & Production (“DCP”) segment which operates in the US, Canada, UK & Europe, Caspian and Australia and South East Asia. Centurion has also appointed Suzanne Park as Group General Counsel. 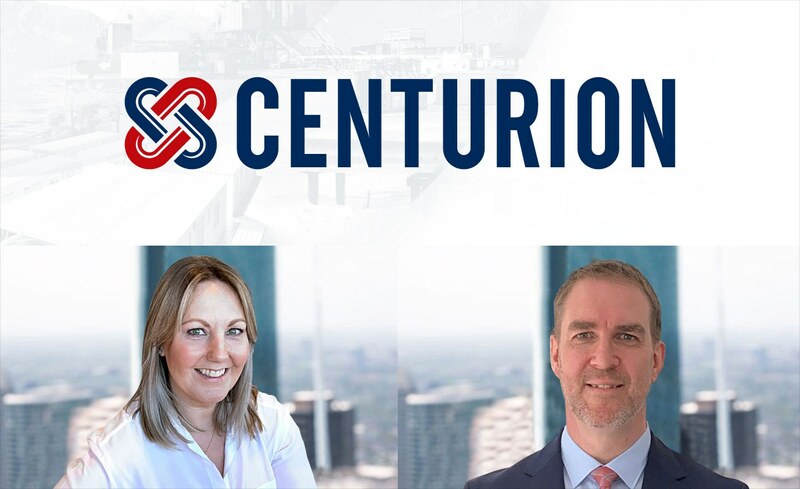 Both Jonathan and Suzanne will based out of Centurion’s headquarters in Aberdeen as the Group continues to add to its senior management organization. Jonathan has extensive experience in the oilfield services industry and has spent twenty-five years in management and operational roles at Baker Hughes, a GE company and one of the world's largest oilfield services companies. Most recently, he was Director of Baker Hughes’ global Tubular Services Group, with responsibility for service delivery in twenty countries and its team of over three hundred staff. At Centurion, Jonathan will be part of the senior management team, in charge of the strategic direction and growth of the global DCP segment. Suzanne joins with over twenty years of in-house legal, compliance and commercial experience, particularly in the energy services sector, working with large scale corporates and private equity backed international oil and gas service companies. "I am delighted to announce that Jonathan Blair will be joining us as our new Vice President of DCP and Suzanne Park as our General Counsel. Jonathan has an excellent reputation in the industry and brings with him a wealth of valuable experience which will benefit us as we look to grow and capitalize on our global footprint, strong customer relationships, and as we identify opportunities to continue to broaden and integrate our product and service offerings. Centurion is a global leader in the supply of critical rental, infrastructure and support services to the energy industries. It combines the scale and the breadth of offerings via its global segments: AMS (Accommodation & Modular Solutions); DCP (Drilling, Completions and Production equipment) and INF (Infrastructure), with strong local presences in key oilfield service locations to deliver value to customers around the world. Centurion was formed following the strategic combination of four of SCF Partners’ portfolio companies in December 2017: Centurion Group, Oil Patch Group, SITE Energy Services and Waste Treatment Solutions. SCF is a global private equity firm focused on investing exclusively in the oilfield services sector. Within the past 30 years, SCF has built over 70 platform companies and has added more than 300 acquisitions to these 70 companies to create some of the oilfields most prominent and valuable companies.